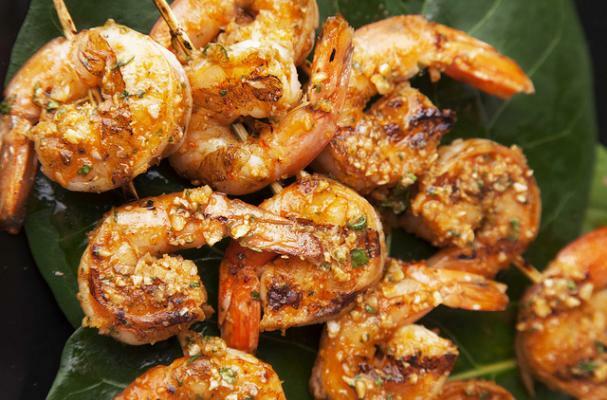 Recipes - Entrees - Jalapeno Lime Grilled Shrimp - Salado Olive Oil Co.
1. Wash shrimp and place into resealable plastic bag. 2. Mix Jalapeno Lime Balsamic and garlic. Add to shrimp. 4. If using wooden skewers, remember to soak in water for 15 minutes before use. 5. Thread shrimp on skewers. 6. Place on grill and cook until pink. You will have to turn them once or twice. HINT: For a fun addition, add onions and pineapple to your skewers.